It is a very thin cornice with steps and round shape on the wall. On the ceiling, it has two small steps and one long step which extends the wall and gives an impression of a lower ceiling. Therefore, the whole room seems wider than it is. Also, as the steps in this cornice are plain and simple, it perfectly matches with our plain ceiling roses. 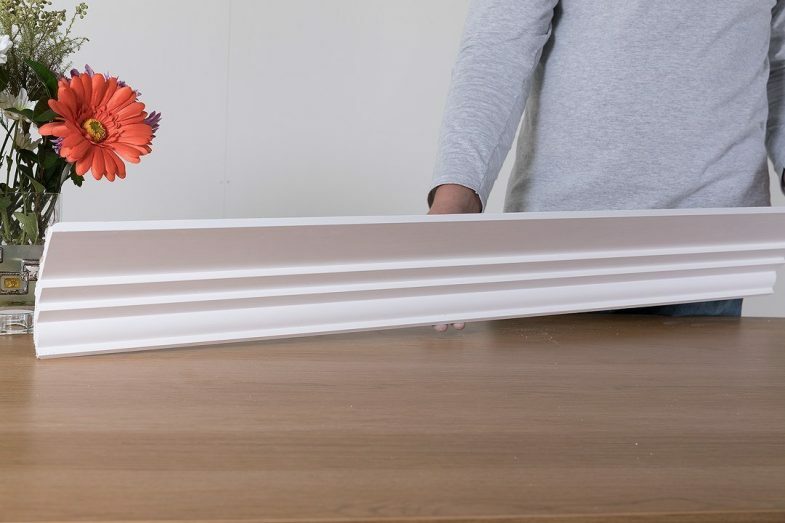 This cornice comes in one larger size. Cornices Centre Range.